The Biosphere Second Edition Ian K. Bradbury Department of Geography. University of Liverpool, UK The Biosphere provides a comprehensive introductory overview of functional, historical and geographical aspects of the 'living world'. It has been written particularly for first and second year students of geography and environmental science in higher education with little background in biology but whose interests in the environment and environmental problems requires some knowledge of organisms and ecosystems. The first part of the book provides an accessible introduction to life on earth, covering such key topics as levels of organization in the biosphere, the chemical make up of organisms and energy and life. The second part of the book emphasizes functional aspects of the biosphere, particularly the ways in which organisms acquire and process energy and materials and how these are transferred through ecological systems. Special attention is paid to 'applied' aspects, particularly crop and livestock production. The third part of the book provides an overview of the history of life on earth, emphasizing major evolutionary 'events' and their significance for the biosphere. This part begins with a consideration of life's origins and concludes with a section on the evolution of hominids. The fourth part of the book focuses on geographical aspects of the biosphere. The principles of species distribution are discussed and different approaches to the zonation of the biota are introduced. A final chapter deals with biodiversity, emphasizing its geographical variation. Throughout The Biosphere, the links between 'natural' processes and environmental issues such as pollution, climatic change and conservation are emphasized. The extensive use of cross referencing makes this book very helpful for the non specialist. 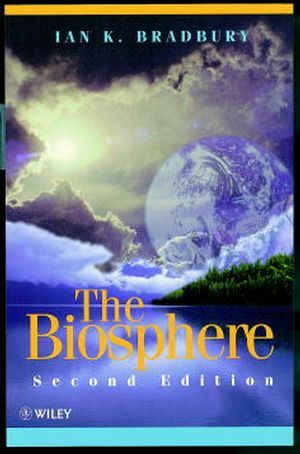 Ian K. Bradbury is the author of The Biosphere, 2nd Edition, published by Wiley. Chemical Composition of the Biota. Energy, Nutrients and Life Processes. Heterotrophic Organisms and Secondary Production. The Transfer of Energy and Matter Through Ecosystems. THE HISTORY OF THE BIOPHERE. Life in the Archaean and Proterozoic Aeons. Life in the Phanerozoic Aeon. SPATIAL ASPECTS OF THE BIOSPHERE.